Santa-claus is an imaginary figure who is said to bring presents to children during christmas. 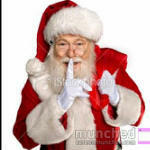 Simply put, Santa-claus is what we call Father Christmas here in Naija or as the yoruba’s call it ‘Baba Keresi’….LOL. Father Christmas or Santa-claus can also be used to refer to someone who gives a lot, someone who has an open hand,very generous and kind. My family friend told me the story of a lady, who was in a great relationship. She had all she desired in her man but along the line, she met a nice neighbour. She newly moved into the area and her cute neighbour was indeed very helpful. He was very good with cars and at that time, she had issues with her car. During that period, he’ll take her to work since their offices were not too far from each other and at the close of work, he’ll come pick her up and together they will go home. Soon enough, the lady started having feelings for this new neighbour. She became too occupied with thoughts of him and before long, she started to neglect her own relationship. She’ll always go to him whenever she had the slightest problems and her neighbour being ‘Mr. fix it’ would always solve her problems be it financial, electrical, material etc. he was always willing to assist. They hardly spoke about their personal life but they enjoyed each other’s company and most conversations were work related. Santa was smiling all through because all the while he had been helping her, he never had any ulterior motives. She on the other hand, left the compound feeling like the ground should open and swallow her….eeeya! This happens to a lot of young women and men too, although its the women most of the time. When a guy is kind to a lady,he might not have the intention of taking it further. But ladies, being the emotional beings that we are, we already begin to have ideas in our head. You’ll hear things like ‘awwww….he’s so nice’, ‘he’s such a darling’, ‘ohhhhh…..that’s so romantic’ ,when the guy has just done something he simply regards as an act of kindness. Sometimes it could be the guy too, the fact that your cute lady neighbour brings you a cooler of food every once in a while doesn’t mean she has fallen in love with you. She might just be a kind lady who loves to cook and share with someone and that someone could be anybody else. Now the question is, did Santa break her heart? To me, it’s a capital NO!!! she was hurt by her own assumptions. Beware!! !….not every Santa claus , Mother Christmas or Father Christmas that offers gifts/ assistance or shows care/concern, is in love with you. Don’t break your own heart by your own assumptions. Show love to the people around you this season. This entry was posted in ME TO YOU on December 17, 2012 by L'QUEEN. It was my friend, Nnenna’s 25th birthday party,and we were all so excited to be there. Nnenna and I have been friends since Uni days and it was good to see her again as well as our other friends. Nnenna was in a relationship with this dashing young man with a great career and a glorious bank account and she seemed very happy. She had been with this Uzodinma guy for 2 years and she always spoke well of him, although we never saw them together, only in pictures. On this fateful day, he had sent her flowers,a cake,gift parcels and footed the bills of her birthday expenses. That was really sweet (I must say) but as the celebrant’s lover, we expected him to be there in person. We were all looking forward to meeting our friend’s lover Uzodinma, after two years of seeing him in pictures. Nnenna kept telling tales of how busy he was, his job description and that he promised to make it there before the party ended. To cut the long story short, Uzodinma didn’t show up at the party. As concerned friends, we all stayed back to keep Nnenna company since it was weekend already. We all fell asleep after catching up on old times. We did so much of gisting,laughing,wining and dining that night. You know how it is when you meet with friends you haven’t been with for quite a while. We also helped Nnenna clean up the house after her other guests had left. As in,we were exhausted! I woke up a little past midnight to answer to the call of nature. While trying to keep my eyes open, I heard some sobbing sounds. Opening my eyes well enough, I saw Nnenna shedding tears quietly in one corner of her bedroom. I dragged my feet towards her,and sat beside her, waiting for her to say something. I didn’t want to talk, so as not to disturb the other girls who were soundly asleep. After 5 minutes that felt like 50 minutes, Nnenna spoke. “How long will I continue like this?”she asked rhetorically. She narrated the story of how Uzodinma lavished her with money and gifts but deprived her of time together and attention. Nnenna explained how Uzodinma on many occcassions, apologized to her with shoes, bags and jewlleries whenever she complained of the lack of closeness in their relationship. I could almost cry with my friend,because she spoke with so much pain. I’ve never seen Nnenna that way before. Nnenna desired love, togetherness,closeness,true friendship, time and attention from the relationship. However, Uzodinma was unable to provide that. Maybe, he felt money and gifts were enough to show her that he cared about her. I remember that song by T.I back in 2008 ‘whatever you like’. In the video of the song, he spent lavishly on the lady buying her jewellries,buying her a car, taking her on a private jet and all the other nice things a girl could possibly dream of. Really, its nice to have a lover that gives and most girls will not stay with a stingy man. However, the money and the gifts are not the ultimate. So many of us are guilty of this,we easily forget that money and gifts can not take the place of affection and attention. If someone truly loves you, they will desire your time and attention more than anything else, either material or monetary gifts. Your time and attention is something money can not buy. What’s the point of being in a relationship, if you don’t see the GIVER only the GIFTS? Won’t it feel selfish? Or let me say one-sided, to keep collecting gifts when you have no avenue to give love back. What are your thoughts? Is it ok for you to be in a relationship with someone who gives you whatever you like but deprives you of his/her time and attention? How can a person cope when they fall in love with a workaholic? Wishing you the best, this season. This entry was posted in LET'S HEAR YOU on December 10, 2012 by L'QUEEN. Personally, music to me is beyond the sonorous voice, the beats and the lyrics. I see music as an escape, a mode of transporation,something that takes me out of my present situation at different points in my life. In my secondary/Uni days I was so obsessed with music, not like I’m no longer obsessed with it, I just feel its effect on me has reduced a little. For me, its RNB and Gospel slows anyday, anytime. My current music obsessions are Frank Ocean’s ‘thinking about you’, Sean Paul’s ‘how deep is your love’ ft. Kelly Rowland, Banky W’s ‘Yes/No’ and ‘Sweet Jesus’ by J. Moss. Music means a lot of things to different people. Some people say when they listen to Dj Khaled’s ‘All I do is win’, they just get inspired to be the best and it gives them the needed ‘push’ to strive for success. A friend of mine told me, that almost all Celine Dion songs bring back memories of her first love. As at the time she was with her first love, Celine Dion songs were enjoying airplay on the radio stations from back then( raypower, rhythm fm and metro fm) and that was what they listened to, together. Whenever I hear ‘Run-away’ by Styl-plus, there is a certain picture that comes to my mind. Music brings back memories especially if you are/were with someone who shares/shared the same passsion for music as you do. We tend to associate some kind of emotions to most of the songs we sing or listen to. Music also possesses a healing power. Most times when people go through heart break, they run to the likes of Adele, Boys II men, Katy Perry or Taylor Swift. Usually, they say the lyrics of such songs reach deep into their soul and helps them feel better. Music also helps relieve us from the stress of our daily lives and takes us back to places of excitement and pleasant memories which different songs help us remember. It affects our moods and our thinking in various ways. Earlier on this year, I met a lady who told me,‘Best thing I never had’ by Beyonce was the perfect song for her situation. Without the need for her to explain, I already had an idea of the situation. We all have tunes stuck in our heads. Some of them remind us of friends, places, events, childhood experiences and some remind us of love-lost. Although, it is not easy to parse how music evokes memories but I’m sure y’all will agree with me, that music possesses the power to take us back to revisit our past and helps us maintain new memories. 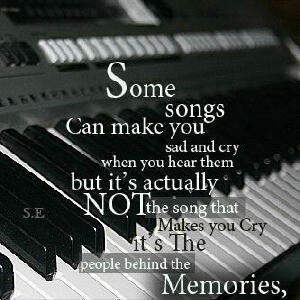 I believe music holds a key to old memories. Lets hear you; what does music do to you? Inspire? Entertain? Heal? Revive? Does it bring back old memories to you? Did music help heal your broken heart at any point in time? Read, share and comment. Don’t just decorate your house, decorate a life. This entry was posted in Uncategorized on December 3, 2012 by L'QUEEN. “Friend zone refers to a platonic relationship where one person wishes to enter into a romantic relationship but the other doesn’t ” – Wikipedia. “If one can become your friend he/she can easily become your life partner” – Michael Jackson. After a hectic day of hustle on the streets of Lagos, coupled with crazy traffic, I got home at 9:45pm feeling like planet earth was placed on my shoulders. I decided to take a shower and end the day by going to bed earlier than usual. As I was slipping into my night wear, my phone started crying (ringing) from inside my bag, I just ignored it and continued with what I was doing. When it didn’t stop after the second ring, I reluctantly decided to pick it up. Alas! It was my older cousin Jibola calling, I haven’t seen Jibola for almost 2years and I was happy to hear from him, even in my tired state. “What’s up Coz”, I said in a very happy tone. “I’m not too ok jor, we need to talk”, Jibola said in a serious tone. By the sound of his voice, I could tell that the call was not centered on knowing how I was doing, my cousin had something on his mind and that something was really serious. He narrated the story of how he has been friends with this Moyin girl for 5years and over the years, he has become so drawn to her, more than anyone else. Although, Moyin dated other guys all the while, he still had his place in her life as “best male friend”. The main issue now is, Jibola (now a grown man) is ready for a serious relationship, but his friend (Moyin) is stuck in an unhealthy relationship and she doesn’t even seem to realize it. “Tolu, I can’t continue to see her get hurt in the hands of these other guys, when she’s the only one I have ever loved”, Jibola said to me. That statement touched me so much, from the sound of my cousin’s voice I could tell that he was really hurt. As time went on, Jibola and I were able to discuss and find out ways to help him escape the friend zone trap(Hey! hang on, I’ll share the tips). To cut the long story short, Jibola and Moyin are together now. And guess what? 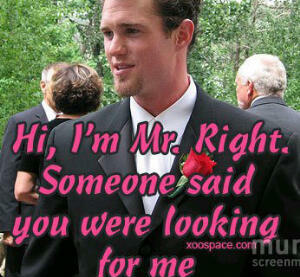 He has proposed to her *winks*. 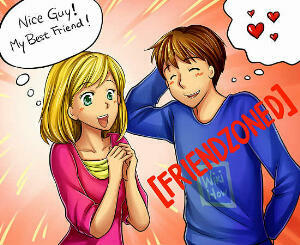 It is not uncommon to hear young people talk about the “friend zone” these days. For some people, the switch from friend to lover isn’t so easy. I usually enjoy Friend Zone on MTV; I see the pain in the eyes of the person when his/her friend rejects the offer to turn their friendship into a relationship. Usually, they say it’s because they don’t want to ruin the friendship. What are your thoughts about this? Does the switch always ruin the friendship? HOW CAN I ESCAPE THIS ‘FRIEND ZONE’ THING? So, are you trapped in the closet? – erm sorry, I mean… in the friend zone? Awwww…Ok let’s talk about the escape route from the friend zone, my cousin and I were able to dig some things out at that time and luckily,it worked for him. I’ll share some with you; first let me say you have to realize that every relationship (friendship, customer/client to organization, man to woman e.t.c) is a negotiation. However, when the terms and conditions of such a negotiation is about to change, it is essential that each party must be well informed. That’s the re-negotiation stage. I’ll also like to add that, most times, people get trapped in the friend zone, because they are meeting the needs of the other party and they on the other hand, are not satisfied. Make yourself scarce: when you are too available to your friend, soon you’ll be taken for granted. Try and occupy yourself with other things. Act less interested: Don’t always show interest in what he/she is doing. Sometimes you can decline an invitation to go out with him/her, by giving excuse of another engagement (something irrelevant). Create competition: Make other friends and hang out with them often, naturally, this will affect your friend a little. People tend to give more value to something they think they might lose. Get the other person to invest: Don’t always be the giver, allow your friend to do things for you and make sacrifices for you as well. Be rewarding: Show appreciation when he/she does things for you and make it clear that it means a lot to you that he/she is there for you. Don’t see it as right, it’s a benefit of true friendship. I believe that by applying the above tips, you will be able to create balance in the value and exchange of friendship between you and the person. It will make your friend realize how valuable you are. Once that is established, you can take a bold step to express your feelings to your friend. You may decide to do it directly or indirectly. You can ask for a date and express your feelings. You can also decide to do it indirectly by using a card or a message. Personally, I prefer the direct approach to this;because it will make him/her take you seriously. This can only work if you have made your friend realize your worth and what you really are to him/her. I wish you the best, it works for some and for some it doesn’t but you can never tell, until you do something about it. No one likes to stay in a forever friend zone. There’s no harm in trying. No matter the outcome, you’ll be able to make him/her realize how valuable you are. “Love is an everlasting friendship” – Jackie Chan. Read the post, share the post and I’ll really like to hear your views, comments and opinions on the friend zone. You could also share your experiences and how you were able to escape….you might help someone out too. This entry was posted in LET'S HEAR YOU on November 26, 2012 by L'QUEEN.